Bloomberg - A major global provider of 24-hour financial news and information including real-time and historic price data, financials data, trading news and analyst coverage, as well as general news and sports. Its services, which span their own platform, television, radio and magazines, offer professionals analytic tools. Budget Tracker - budget your finances and know where your money is going. BusinessWeek - Business Week is a news-based website focusing on the economy, investment, politics, technology, and business trends. CNBC - CNBC keeps you up to the moment concerning news and the market. They offer a huge library of current videos, the latest opinions from economists and professional investors, and charts and information on the markets of Europe, Asia, the U.S., Oil, and Gold. CNN Money - This site breaks down what is new in the finance world. It is a site with information on the tech world, what's new with personal finances and how the stock markets are fairing. You'll get breaking news and information from all fronts of the investment world. Econedlink - Economics & personal finance resources for students K-12. Free Stock Charts - This is a great site to get free stock charts in real time. You can see every stock on the market and how it's fairing in this stock chart. It's completely free and you don't have to sign in. This site is a great way to see stock charts for free to gather more information on stocks you're looking to invest in. Good Budget - an online budget tracker that uses the envelope system without having to carry around paper envelopes. Google Finance - Google Finance has all you could want in any finance and investing website. It has the latest news, stock trends, and all the numerical data you could want to see. You can create your own portfolio, screen stocks, and look at Google’s very own “Domestic Trends” tab. Joshua Kennon - Joshua Kennon is a blogger who posts about his thoughts on business, politics, and finance. His about pages on investing for beginners are his most popular posts (directory), and provide good information on understanding how to be successful with your investments. MarketWatch - Market Watch is a website under the Wall Street Journal Corporation. It shows all the latest news and stock trends in the market. The website offers loads of information on personal finance, retirement planning, investment tips, and a personal portfolio account that gives real time quotes and news. Mint - Mint helps you to manage your personal finances all in one place. The Motley Fool - As stated on their website, “The Motley Fool is a multimedia financial-services company dedicated to building the world's greatest investment community.” Taking their unconventional name from William Shakespeare, The Motley Fool makes investment strategies and market advice accessible to the common investor. Along with their hundreds of articles, they have thirteen useful steps on how to invest and how to retire wisely. MyMoney.Gov - This is a great financial site that gives you tips and teaches skills on how to save, invest, borrow, or protect your money. This site gives the My Money Five principles to teach these important skills on earning and saving your money in the best way possible. Check out the financial tools and games they have for the youth as well. These are centered around teaching children how to manage their own finances while they're young to prepare them for the big leagues. StockCharts.com - This webpage introduces the multiple stock charts in the world. So NASDAQ,Toronto Stock Exchange, NY Stock Exchange, and others. You can see today in the market, and find out any of the latest news on companies that is out there. Stock Market Game - So you've always wanted to invest right? You've heard all your buddies tell you how much they've saved playing the stocks, but you're not sure where to get started right? Well this game is a wonderful tool to help you play in a virtual reality of a stock market. It's a game to teach you what to look for as far as trends or news. This is the perfect tool to teach yourself or your family the importance of stock market investing. Sign up and start learning today! 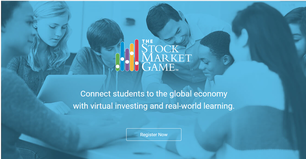 For educators, this site is also a wonderful tool to use in the classroom to teach your students the importance of the stock market. Check out all the resources they have for parents and educators on this site as well. The Street - The Street is economy expert and Mad Money show host Jim Cramer’s website. Here viewers can find his advice, his own portfolios on display, a forum of financial advisors, trading and investing tips, and the latest market news. The Wall Street Journal - Whereas Market Watch is WSJ’s “practical tool” website, this is their main news website to get the latest information on what’s happening in the world market today. Wall Street Survivor - learn how to buy and sell stock on a fake stock market by playing the site’s Stock Market Game. Yahoo Finance - At Yahoo! Finance, you get free stock quotes, up to date news, portfolio management resources, international market data, message boards, and mortgage rates.